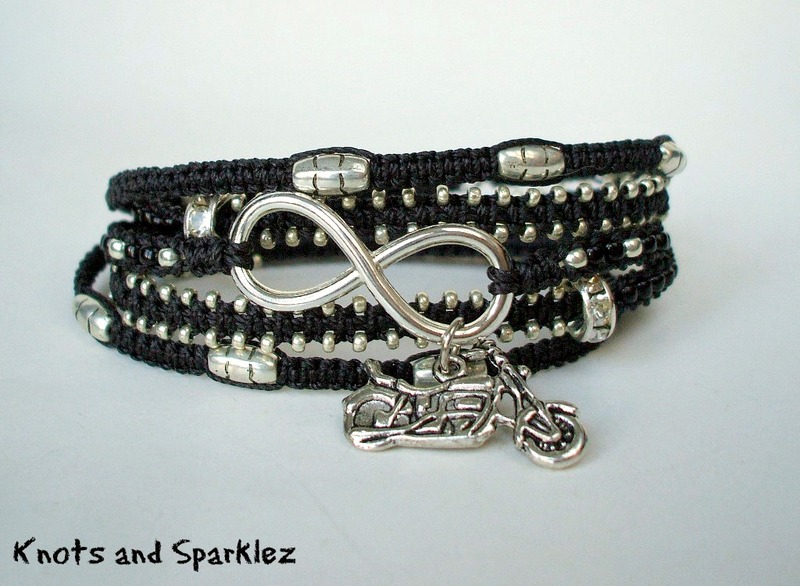 A section dedicated to the ladies that like more of a rocker/biker style of Jewelry. To have one of these made for you please use the "CONTACT US" tab above or social media links at the top right corner of the page. This is my latest addition to this section. 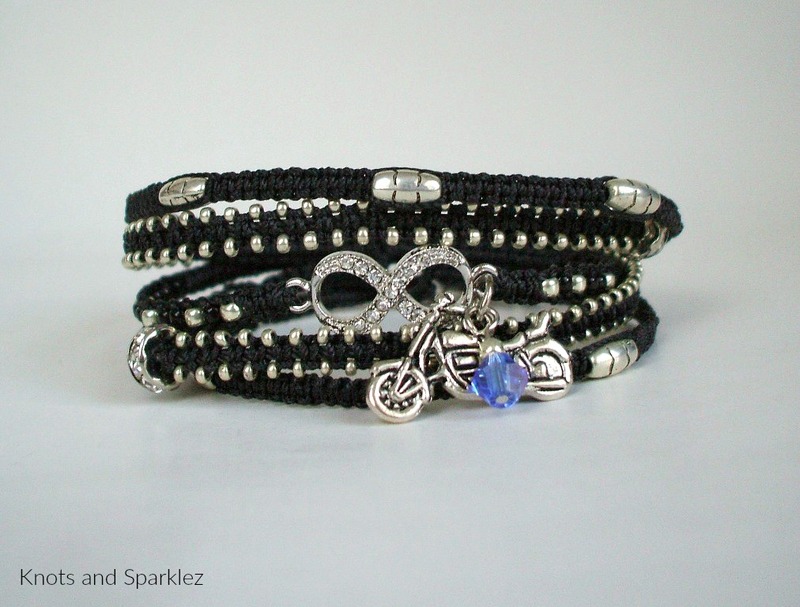 Knotted in black cords and accented with silver beads and charms this piece allows for a bit of customization. You can choose the charm you prefer and if you want you can switch the crystal with your birthstone color or any other color you prefer. This was done in Orange for those who ride bikes. 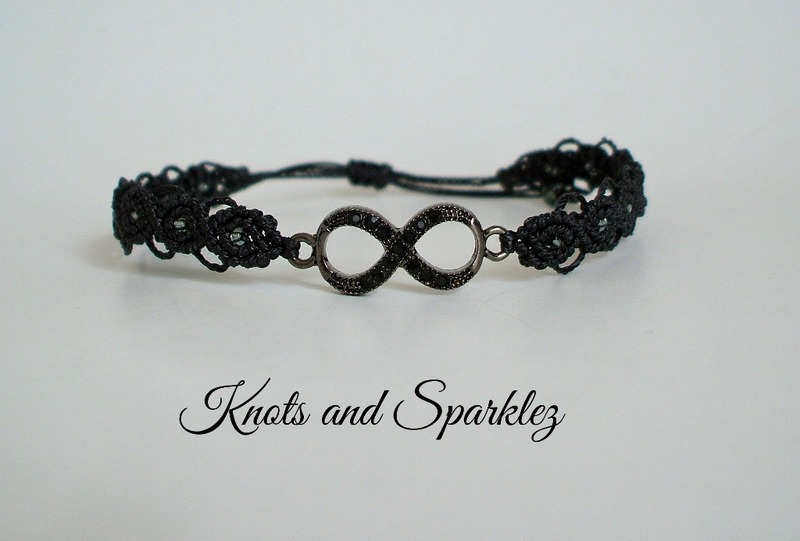 It is one continuous piece that wraps around your wrist 5 times for a 6 1/2 to 7 inches wrist. 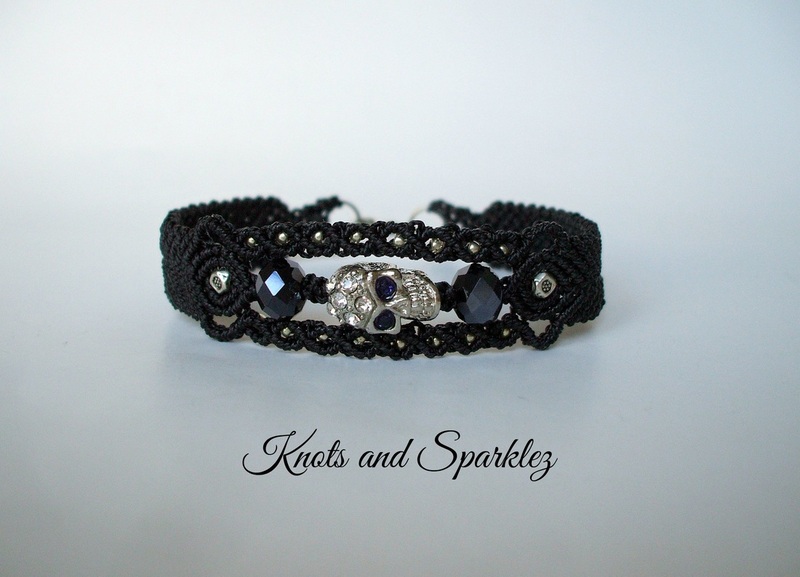 Closure is a lobster clasp with an extender to adjust to your size. Very light weight and soft. 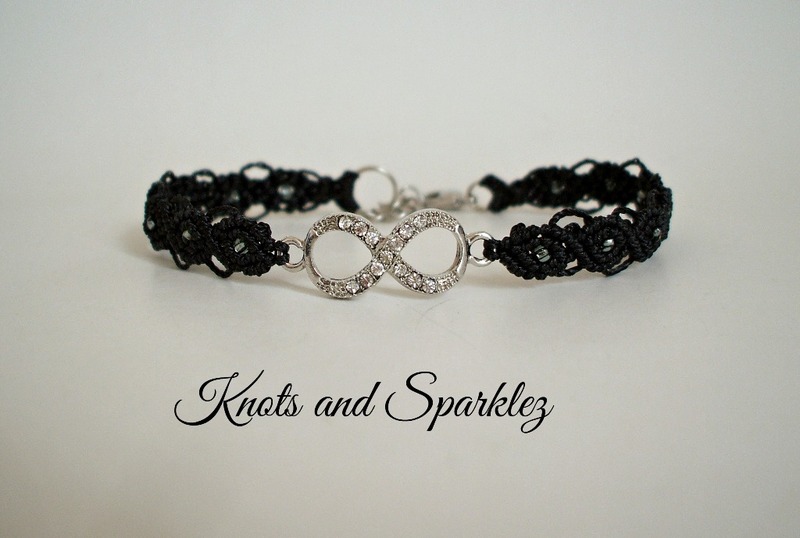 Contact me for CUSTOM ORDERS and PERSONALIZATION. 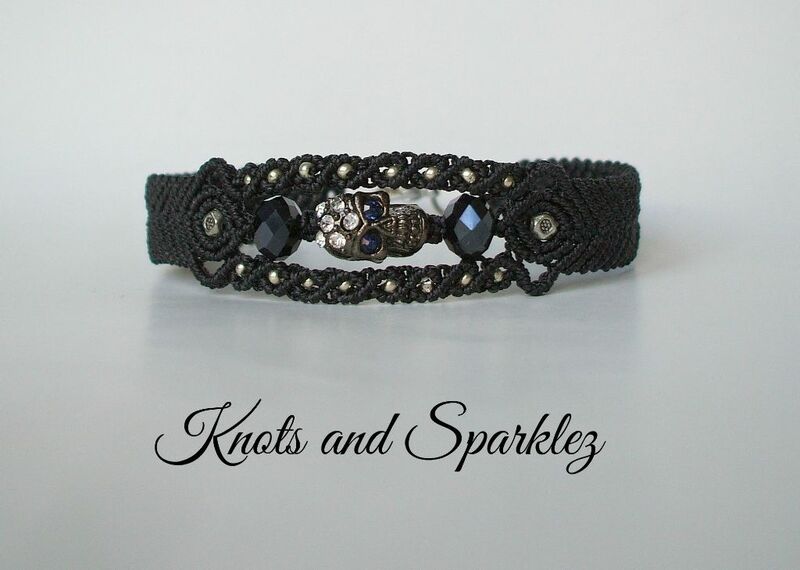 These are more on the Gothic side of Jewelry, but great for Lady Bikers as well as Hard Rock Fans of any Age. 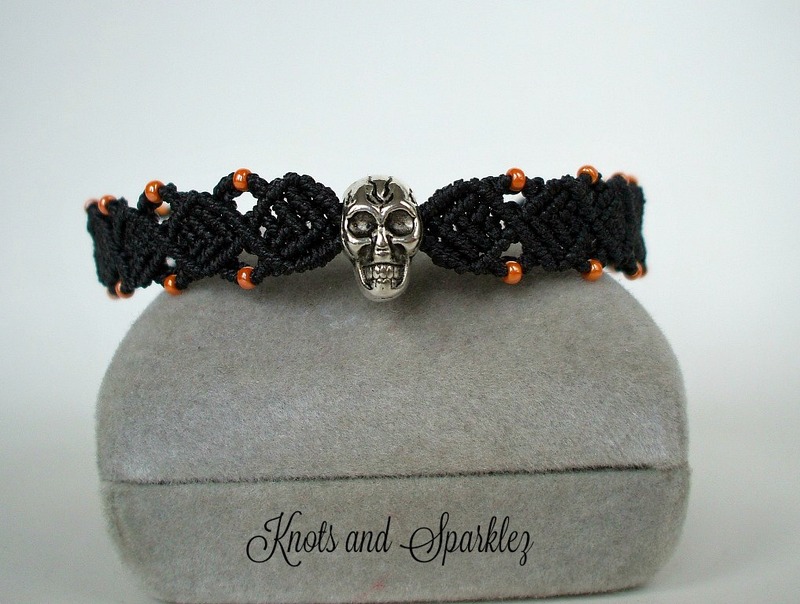 The central bead is a Rhine stone skull of which there are a few finished, silver/gunmetal/red eyes/black eyes etc., or and the crystal colors can be switched to your liking. 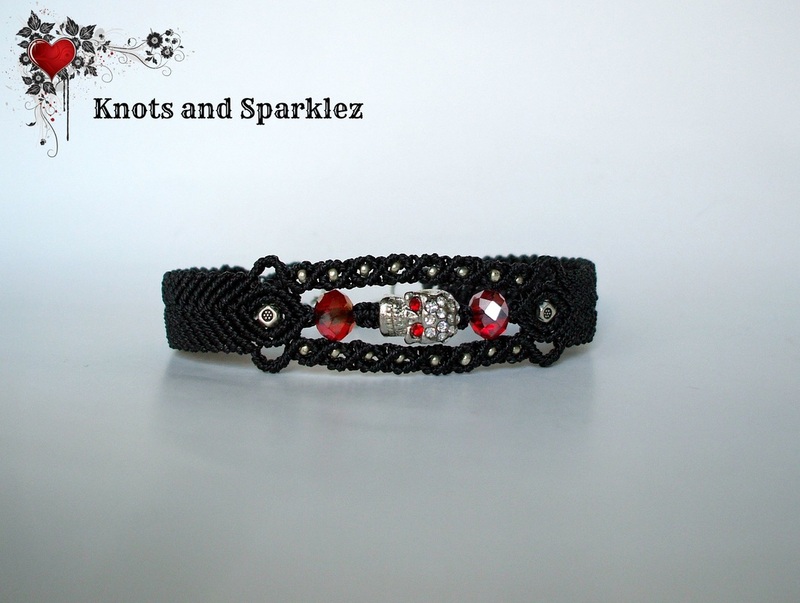 Armbands are soft and light weight with a lobster closure, and can be made to fit any size. 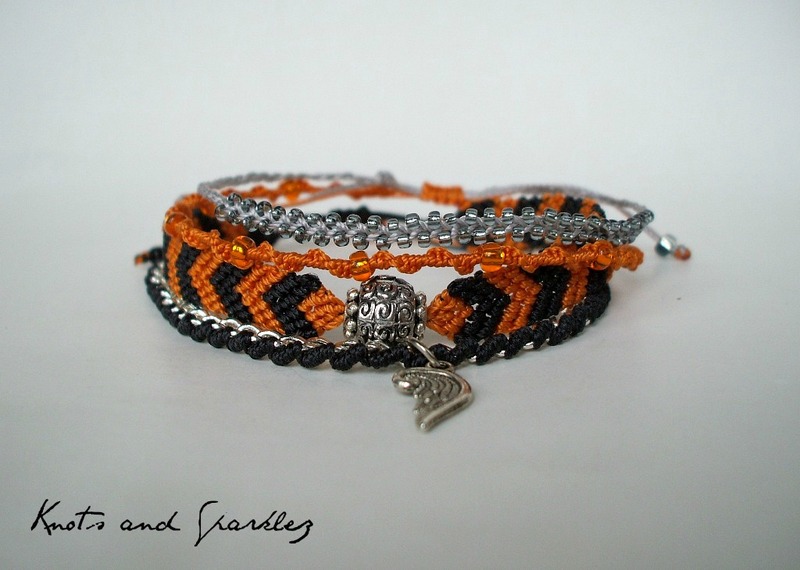 The last one is slightly different, with a plain skull bead and orange accents for bikers aficionados. 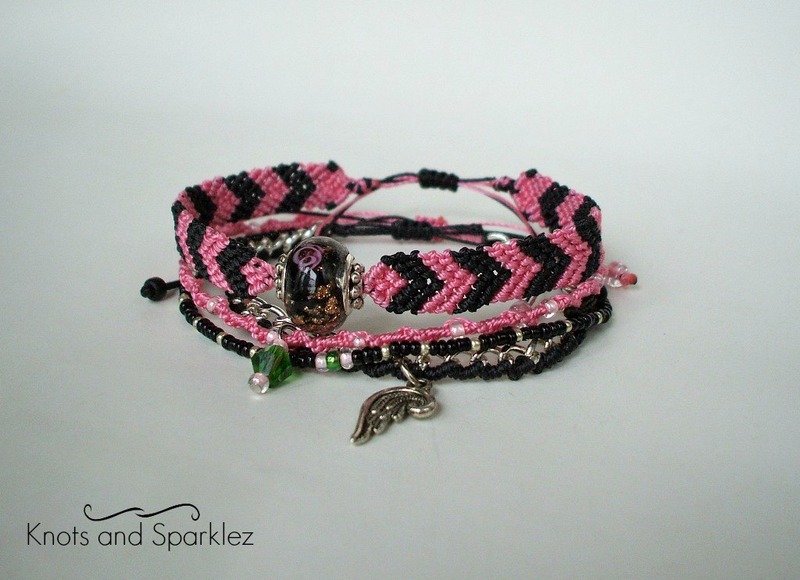 FRIENDSHIP BRACELETS SETS. A set of 4 bracelets in matching colors (usually 3) all hand knotted in different patterns, with charm of your choice, beads and colors depend on your choice. 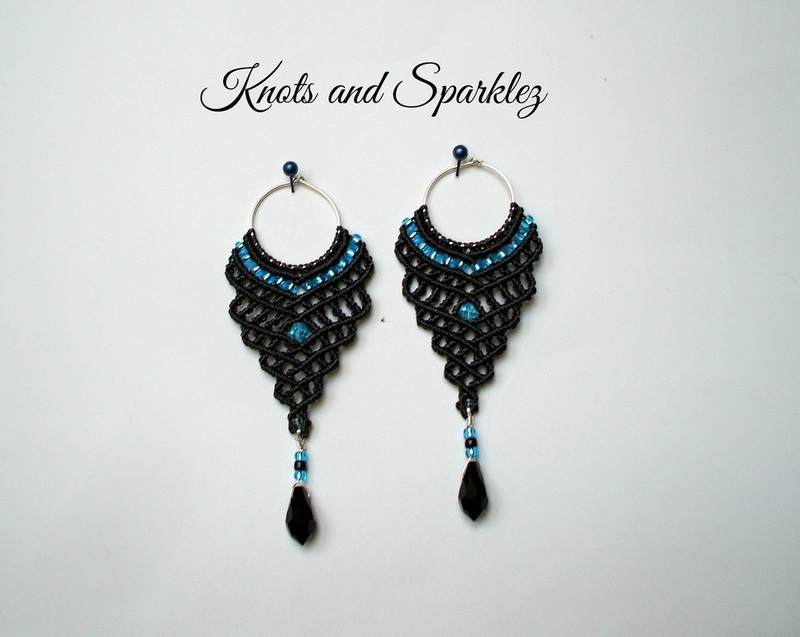 These are examples of CUSTOM ORDERS, they were requested in these colors. The closure is a sliding knot, adjustable one. Made to fit any size. WINGS EARRINGS. For the ladies that like to ride here are your WINGS! 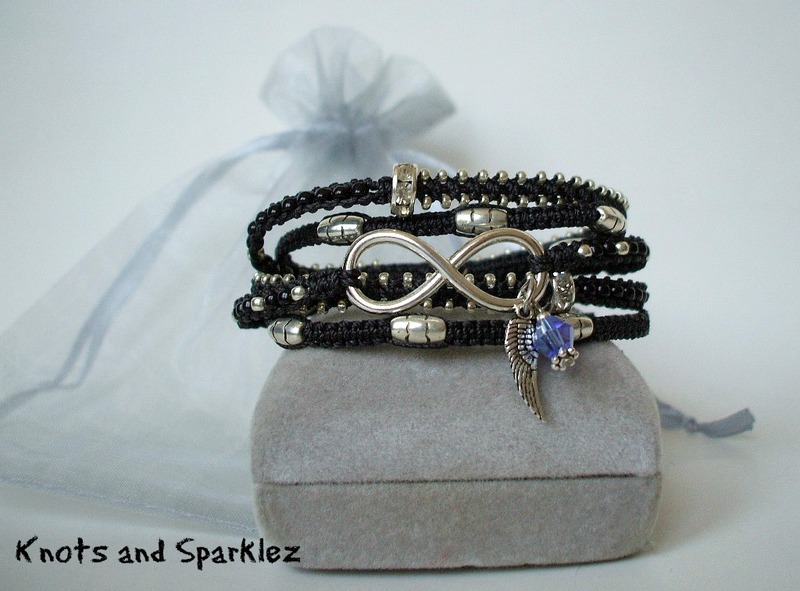 These are super light weight and so fun to wear, they come in a variety of colors (many more to choose from) I just chose 3 to show here. They can be made to match your Club colors, or any other color preference you may have. 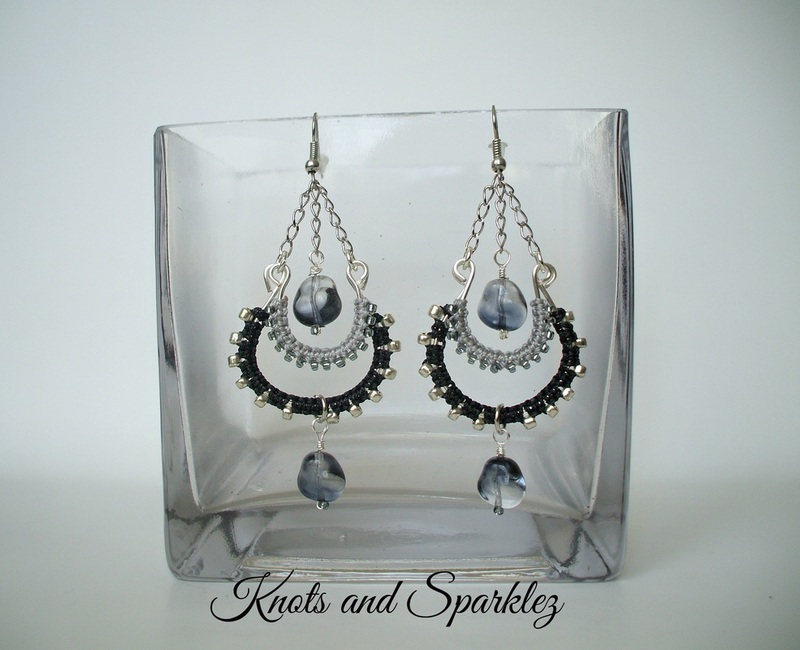 These are other styles of super light weight earrings I have made for Biker ladies, but the possibilities are endless. Sometimes materials change slightly due to availability but I try to accommodate as much as I can. Inquiries and Custom orders are always welcome. These are thinner everyday bracelet with a message. I love the simplicity of them and the hidden message. 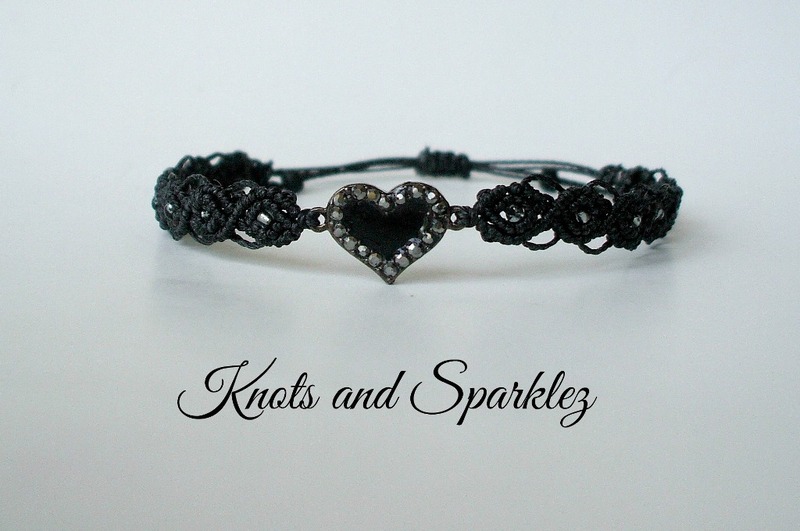 They can be made in an assortment of colors, and various charms and of course they are made to fit your size. Closure can be either adjustable with pull strings, or a lobster clasp (slight price increase). Please inquire to see what charms are still available.